We did best TH7 war bases layouts yesterday for Clash of Clans and today it is time for the best TH8 war base designs for October 2016! These Clash of Clans bases will help you defend three stars and hopefully help you win more wars along the way! Pick out one that looks great and try it out in war. 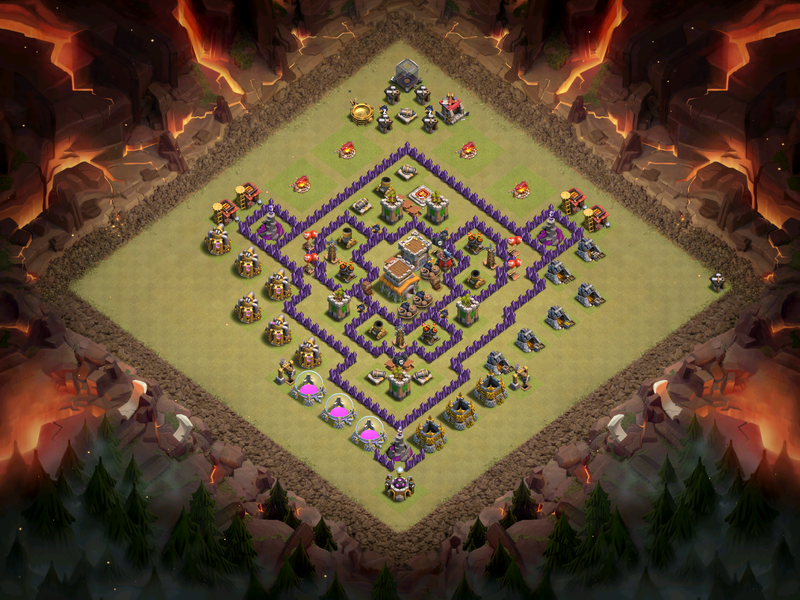 This base is the perfect anti three star base at Town Hall 8. The TH is easily given up on the outside, but double giant bombs, a centralized clan castle, and spread out air defense make it very difficult for a fellow Town Hall 8 to three star this base. At TH8, you want to try to prevent a three star from occurring, not a one star. 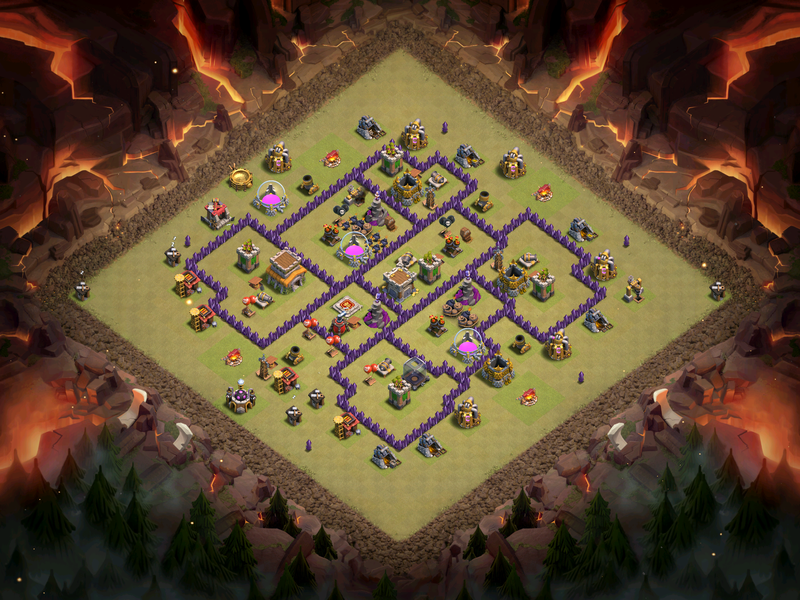 Similarly to the previous base, this TH8 war base gives up the Town Hall and even the two star quite easily, all for the hope of preventing the three star. 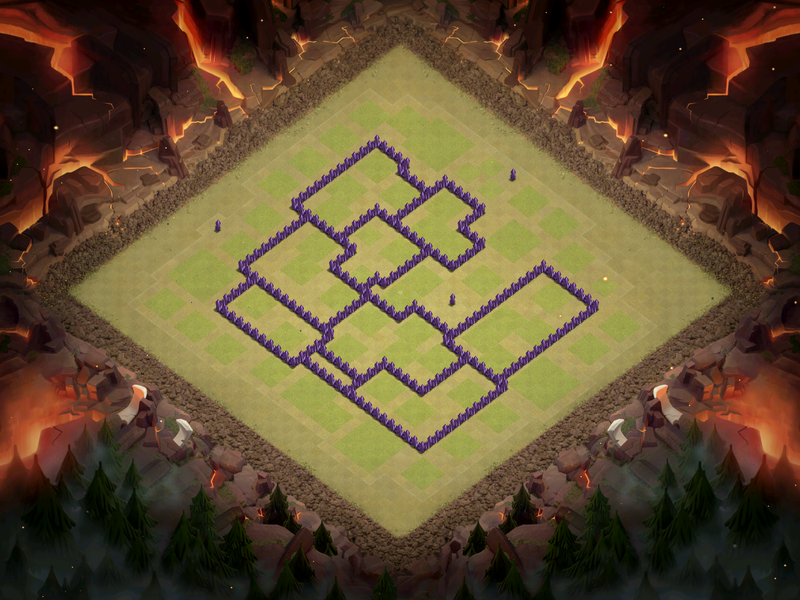 This war base features a centralized clan castle, a spread out base, and great air sweeper/air defense placement. The mortars are also located on the outside of this layout, making it difficult to pick off outside buildings. The most popular attack strategy for Town Hall 8s is either hogs or dragons, but hogs is difficult to stop with an experience opponent. Therefore, you need a great TH8 anti-drag base to try and prevent that three star. The air defense are very far in, but spread out so that they can all go down at once. The ring around the base makes it very easy for the dragons to become distracted as well. That is all of my Town Hall 8 war bases for this October of 2016! Next up is TH9s and then TH10s… If you want to see farming bases along with war bases, vote on the poll below! I’ll see you guys tomorrow with some stellar Town Hall 9 bases! Pingback: Best TH8 War Base Design for October 2016 | Clash of Clans Guide, Strategies, Tricks and More!